INDIA: Come September, the Narendra Modi government will take the first step to make bullet train a reality in India, with help from Japan. 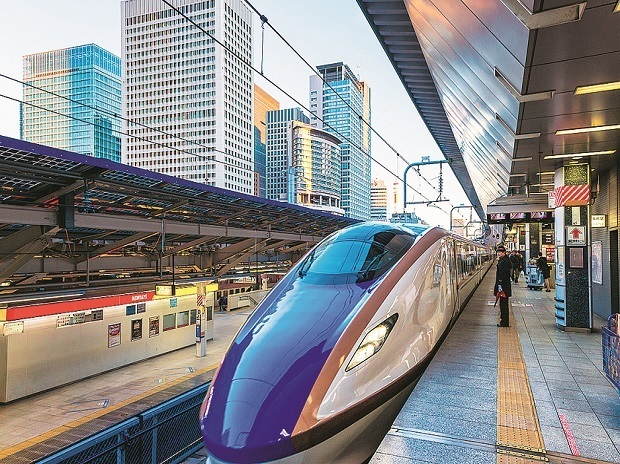 Modi and his Japanese counterpart Shinzo Abe are likely to take part in the bhoomi poojan and foundation stone laying ceremony of the Rs 97,636-crore Mumbai-Ahmedabad high-speed rail corridor project. This train will be based on Japanese high-speed technology called Shinkansen, known for its safety and comfort. The high-speed train would cover the 508 km between Mumbai and Ahmedabad in two hours, from seven hours now. Though such traditions are followed while starting major projects in India, this could be for the first time that a global leader will be participating in one such event. “A bhoomi poojan and foundation stone laying ceremony will be in September. However, the date is yet to be confirmed,” said a source close to the development. Railway Minister Suresh Prabhu is targeting the commissioning of the project by 2023-24. February 2016, a special purpose vehicle National High Speed Rail Corporation Ltd was formed to implement the elevated Mumbai-Ahmedabad high-speed rail corridor project. The Japanese government has agreed to provide a loan of up to 81 per cent of the project cost at 0.1 per cent per annum, to be repaid in 50 years with a 15-year moratorium. The project was sanctioned with 50 per cent equity participation by the railway ministry and 25 per cent each by the governments of Maharashtra and Gujarat. The originating station in Mumbai would be at the Bandra Kurla Complex. There would be 12 stations on the route. The Indian Railways has been working on a multi-pronged strategy for running of high-speed trains (with speeds of 300 kmph) and semi-high-speed trains (with speeds of 160-200 kmph). This train will be based on Japanese high-speed technology called Shinkansen, known for its safety and comfort. In addition to the Mumbai-Ahmedabad high-speed corridor, five more corridors are being explored; Delhi-Mumbai, Mumbai-Chennai, Delhi-Kolkata, Delhi-Nagpur and Mumbai-Nagpur corridors. Trains on these corridors will cross 300 kmph.